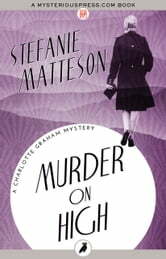 When a screenwriter is murdered, legendary-actress-turned-amateur-sleuth Charlotte Graham is forced to investigate the dark days of Hollywood's Red Scare. The ridge is called the Knife Edge, and it's as dangerous as the sharpest blade. Iris Richards hikes this trail every June, a death-defying trek to celebrate her sobriety and remind herself that, even at seventy-two, she's not slowing down. Today, she's uneasy, haunted by an encounter with a man she caught lurking at her campsite last night, but her footing is sure. Her hike is nearly finished when something stings her neck, and Iris tumbles into the clouds. Decades earlier, Iris was a Hollywood screenwriter and confidante of the legendary starlet Charlotte Graham. Blacklisted during the McCarthy witch-hunt, Iris disappeared into obscurity – until she was sent toppling off the Knife Edge. Now, to avenge her old friend, Charlotte must confront the sinister secrets behind the Hollywood blacklist. Fans of Stuart M. Kaminsky's Hollywood mysteries will be entranced by Charlotte's investigation into the dark side of cinema's golden age. She's hardly an ingénue, but Charlotte Graham sparkles with all the glamour of the silver screen. 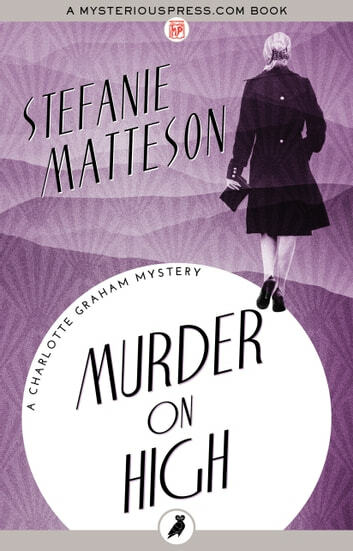 Murder on High is the 6th book in the Charlotte Graham Mysteries, but you may enjoy reading the series in any order.